Most consumers choose their credit and debit cards for a reason. Some offer free airline miles, other cards add a percentage to a child’s college account or even have cash refunds. But few consumers know why the businesses they frequent accept, or don’t accept, certain credit and debit cards, what card transactions cost the merchant or why some small businesses are even choosing to take cards with the swipe of a smartphone. When asked whether Biff’s Bagels lost much business in the switch, Postlewait claimed that it helped to have a $1 ATM in the store and that most locals know Biff’s is cash only. Postlewait did say he recently ordered a Square for use with his smartphone, in order for businesses to make large purchases with cards. When Flagstaff Business News took informal Facebook and Twitter polls about cash only businesses and credit card fees, many agreed that, when it comes to actual sales, convenience trumps idealism. The practice that really upset the most customers we spoke with was charging a fee for using a card. According to Kirsten Dunstan, “Surcharges are against all credit card policies. I find surcharges extremely offensive.” In our informal Twitter and Facebook polls, many agreed; almost a dozen people told us they actually avoid businesses that charge a fee for card use. Some very small businesses avoid credit cards because they are concerned about the hassle and cost of obtaining a merchant account. Paul Stull of Arizona State Credit Union says their bank offers merchant accounts to members and contracts with an outside company to handle card processing. When Flagstaff Business News spoke with Square co-founder Tristan O’ Tierney, he told us his company’s data show profits go up over 10 percent on average when a business starts accepting credit cards. Square charges 2.75 percent per transaction, but there are no additional fees. So far, only a few companies have joined an app to a card-swiping device. Other than Square, Intuit GoPayment works with iPhones, iPads, Androids and Blackberries, and ROAMpay works with all of these devices. One difference is that ROAMpay and Intuit GoPayment both necessitate merchant accounts. 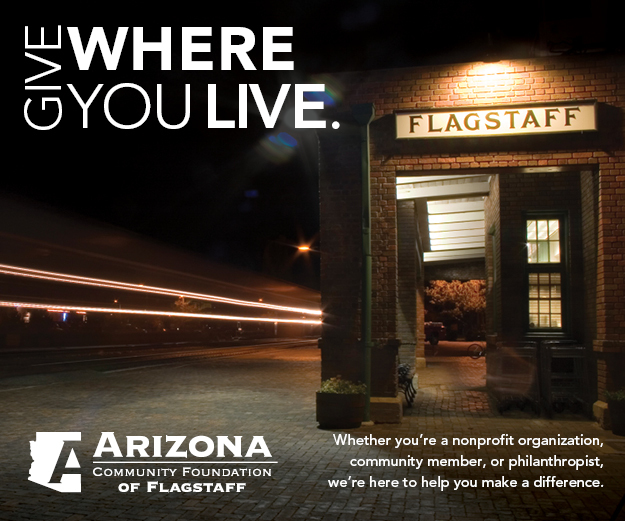 Square is most popular with Flagstaff small business owners. Those with low volume sales like hairdressers, artists, fitness group owners, seamstresses and even schools, including FALA, use Square. Becky Dagget, executive director of FALA, says signing up for Square was “ridiculously easy,” and that they plan to use it at their fundraisers.